Seamless sound solutions! Leon Speakers are the choice when your want top-notch sound and custom-crafted design. 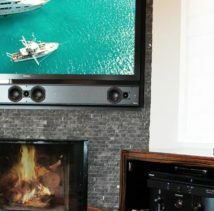 Leon custom-builds every speaker to smoothly integrate high performance, audiophile-grade sound into your décor. 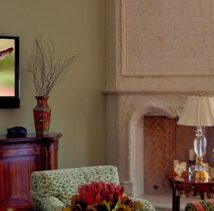 No matter what TV or system you use, Leon will weave phenomenal surround sound into the fabric of your space. 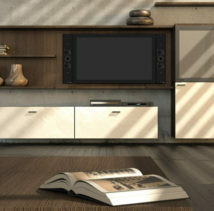 IDS works closely with designers to custom-craft superior audio solutions for your unique space. As hardware disappears into your décor, all you’ll notice is an unparalleled audio experience. At Leon, picture perfect sound starts in the hands of our dedicated craftsmen who design and build some of the world’s finest audio products. Our passion for perfection is evident in every step of the manufacturing process. From the moment an order is placed to the final coat of paint, we pay meticulous attention to every cabinet, every driver, every screw. At Leon, building a custom speaker isn’t just a matter of process; it’s a point of pride. We consider our people among our most valued assets. So much so that you’ll see them featured in our advertisements and in all of our sales materials. Our highly trained craftsmen approach speaker building as artists and musicians, and each speaker is constructed with integrity and pride; while our in-house sales and design teams listen closely to the needs of our dealers and their clientele. This culture helps us to effectively manage the ever-changing environment of the consumer electronics industry and home design trends. And, as a fully build-to-order ISO-Certified facility, we have the ability to realize change quickly. This equates to more advanced product development, better customer service and impactful innovation.